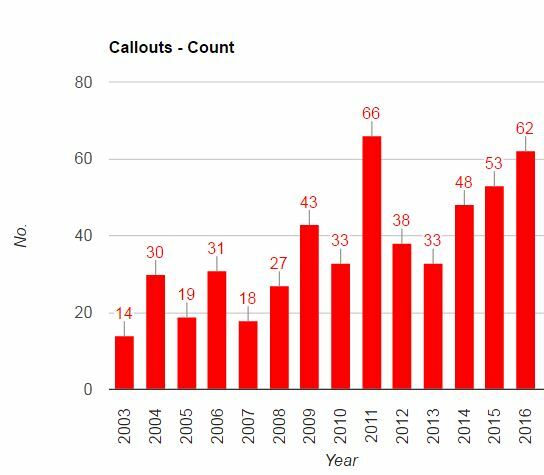 National figures on Search and Rescue have today been released by Lowland Rescue in their Association Incident Recording database (AIR). When a vulnerable person goes missing, Lowland Rescue teams are called by the Police and can mobilise a team of volunteers within an hour. Highly skilled volunteers, trained to professional standards, then work in collaboration with the Police to identify search strategies and priority areas where to direct search efforts. 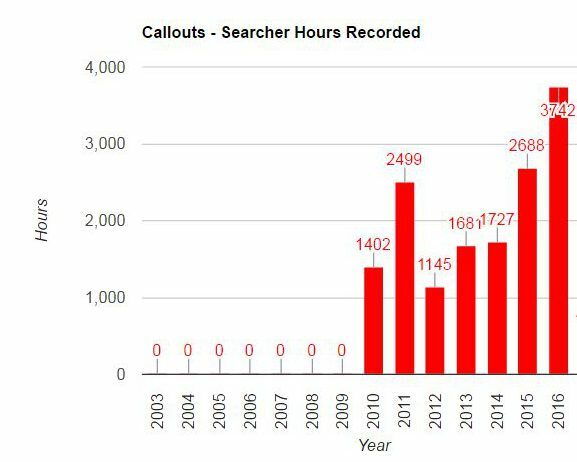 Figures show that the nearly 1700 members, grouped in 36 regional teams, contributed in total more than 40,000 person-hours in live searches, equivalent to 21 person-years of search time, in a total of 906 callouts. The teams also include over 40 fully trained air-scenting dogs, and 11 drones. 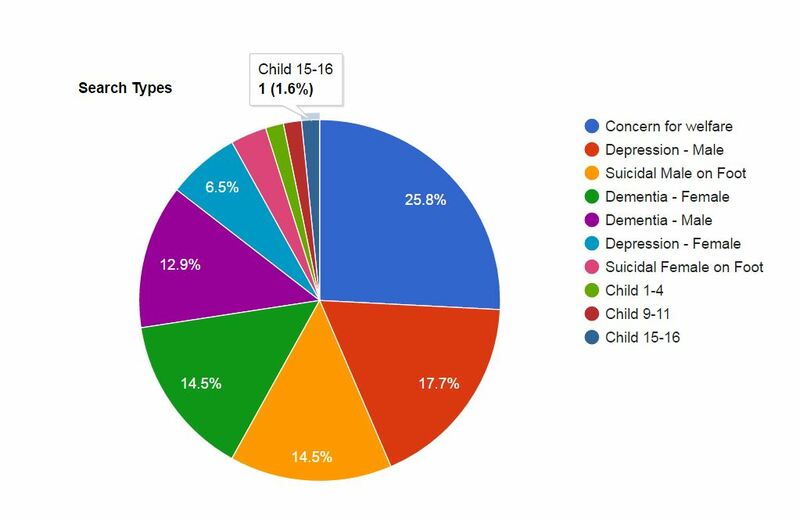 The majority of incidents in 2016 related to despondent individuals (33%), people with dementia (20%) or suicidal (17%). Callouts for males were more than twice as many as those for females (2.5:1). This is the first annual report from AIR, which became live in January 2016. Although it is still in the initial stages, AIR is already being used to share information with other agencies, as appropriate, and to improve search planning. Ultimately, better data saves lives.